Before we had Oculus Rifts and internets, we had arcades and quarters. You can celebrate those golden days of video games’ bleep-blooping past at Free Play Florida, a three-day nostalgia trip full of games, guest speakers, tournaments, and at least two or three mountains of nerd merch. 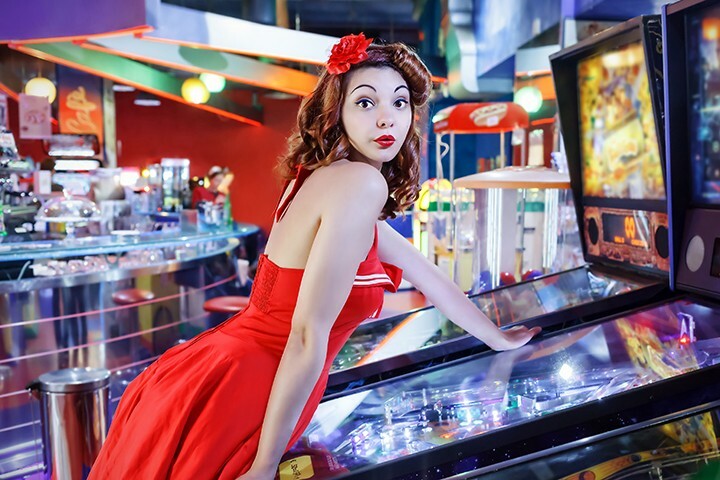 The festival features more than 200 classic pinball and arcade games. Meet the big names of the old-school, including Billy Mitchell, the former “King of Kong,” as well as George Lowe, voice of cosmic crusader and Adult Swim icon Space Ghost. And with a $1,000 prize pool awaiting you at the Sunshine Showdown pinball tournament, you could use your winnings to buy that human-sized Pac Man pillow you’ve always wanted.